CARBONDALE, Ill. — Students of Southern Illinois University Carbondale will soon be able to ride Saluki Express to St. Louis, Evansville, Indiana, and numerous new local destinations at no additional cost. SIU has entered into an intergovernmental agreement with Rides Mass Transit District (RMTD). Beginning June 11, RMTD will be the provider for Saluki Express. No changes are planned for Saluki Express branding or local routes. However, with the implementation of RMTD as the service provider for Saluki Express, SIU students will now be able to access RMTD routes throughout Southern Illinois and beyond at no extra cost. This includes routes to Marion, Harrisburg, Murphysboro and other local and regional destinations served by RMTD, including St. Louis and Evansville, Ind. Community riders will be able to purchase passes from RMTD on the buses. 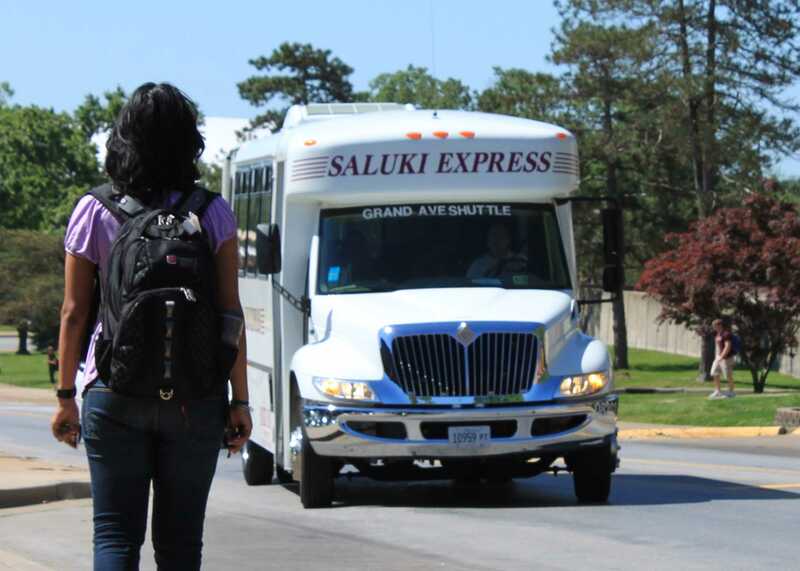 Saluki Express service is provided at no additional charge to SIU students as it is funded by student fees. Currently, SIU students can download and print a QR code, tied to their Dawg Tag number, by visiting https://salukiexpress.tripmastersoftware.com/. That code will allow them access to the buses. In the near future, students will be able to download an app that they can use instead. Saluki Express will continue to be connected with Transloc, which allows riders to track the buses on their cellphones and computers. This service is accessible at http://siuc.transloc.com/ as well as through the Transloc Rider app, which is available on both Apple and Android platforms. RMTD will continue to offer services for students with paratransit needs. The company will also take over the Night Safety Transit service. SIU’s Mass Transit Advisory Board, comprised of SIU students and representatives from the staff and the city of Carbondale, will continue to meet monthly and advise the campus administration and RMTD regarding polices, enhancing service and route changes. To schedule a ride or learn more about Saluki Express and RMTD, contact RMTD at 844/220-1243. Additional inquiries can be directed to the RMTD administration office at 618/253-8761 or http://www.ridesmtd.com/contact-us/inquiries-comments/. Rides Mass Transit District to provide Saluki Express service beginning June 11. All routes and services will continue but students are also eligible for rides to any area location serviced by RMTD. Call 844/220/1243 for more information. Tena Bennett at SIU, tenab@siu.edu, 618/453-3484. Jeffery Drake at RMTD, drake@ridesmtd.com, 618/253-8761, ext. 500326.